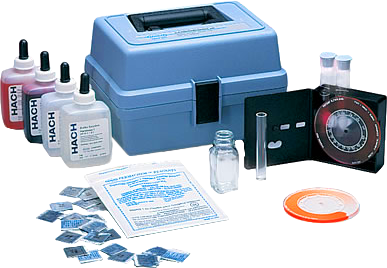 We supply a wide range of water quality test kits for the water treatment professional. 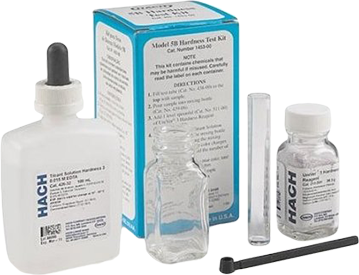 Choose from a variety of kits for your specific water analysis. 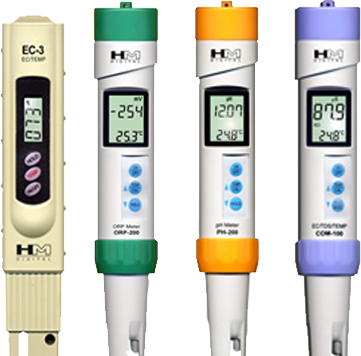 Pocket meters offer an excellent & convenient method to measure various water parameters. 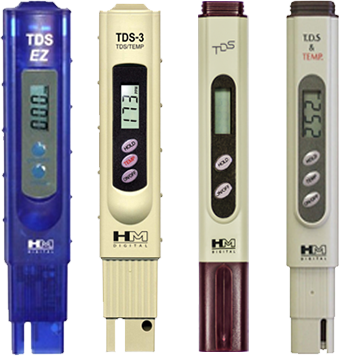 Choose from TDS, conductivity ORP, PH or Combo meters. 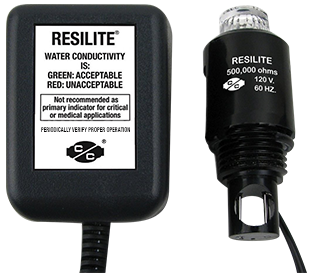 The Resilite is a reliable and economical method of monitoring water quality via conductivity. The bright red or green visual output is easy to read. 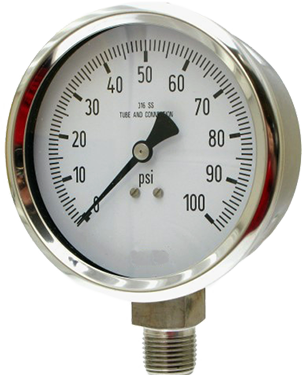 The monitoring is simple; the green light indicates the water conductivity is below the threshold value; the red light warns that it is above. 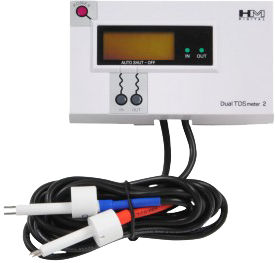 The solid state circuitry utilizes a symmetrical square wave sampling voltage to eliminate plating and extend electrode life. 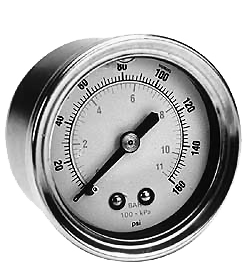 We supply a wide range of pressure gauges to fit your needs. 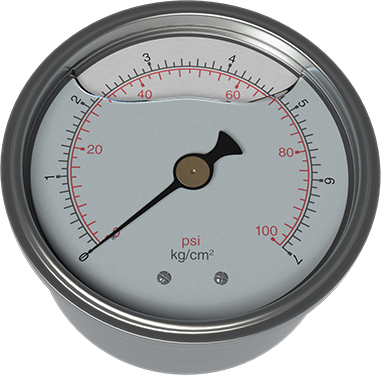 FM-PM0110 Panel Mount Flowmeter, 0.1 – 1.0 GPM ¼" MPT 6.5"
FM-PM0220 Panel Mount Flowmeter, 0.2 – 2.0 GPM ⅜" MPT 6.5"
FM-PM0550 Panel Mount Flowmeter, 0.5 – 5.0 GPM ½" MPT 6.5"
FM-PM1010 Panel Mount Flowmeter, 1.0 – 10.0 GPM ¾" MPT 6.5"
FM-IL0110 Inline Flowmeter, 0.1 – 1.0 GPM ¼" MPT 8.3"
FM-IL0220 Inline Flowmeter, 0.2 – 2.0 GPM ⅜" MPT 8.3"
FM-IL0550 Inline Flowmeter, 0.5 – 5.0 GPM ½" MPT 8.3"
FM-IL-1010 Inline Flowmeter, 1.0 – 10.0 GPM ¾" FPT 11"